This Presentation date is February 22, 2017 at 09:30-10:00 local time. 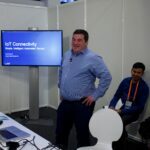 Samuel Pasquier, Director of Product Management at Cisco, reviews their IoT connectivity portfolio. Cisco’s approach to this is to bring connectivity to devices and sensors, and to get that data to drive more business and customers. This requires a different thinking both in terms of form factor, as well as power requirements. 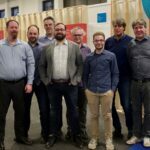 Samuel Pasquier, Director of Product Management at Cisco, give an overview of LoRaWAN. This stands for 2-way Long Range Low Power Wide Area Network, designed specifically to fill the gap between cellular and local wireless connectivity. End devices with LoRaWAN can last up to 10 years on battery power. This is due to their low power requirements, and are designed for relatively small and intermittent data bursts, rather than extended connectivity. Samuel Pasquier, Director of Product Management at Cisco, which allows for doing lightweight compute directly on the edge with IoT devices, before sending back to the data center. Samuel Pasquier, Director of Product Management at Cisco, demonstrates how to use Docker to package an application in a container. From there, they can be pushed out to IoT devices.